Message to Democrats: Take Back Your Party From Progressives! | Virginia Right! Bipartisanship in the true sense is an overlapping position on an issue or issues. If a bill is introduced that is broadly acceptable to most, it is a true bipartisan bill. If a number of aspects of a bill are strongly objected to by one party, like the Health “Reform” Bills in Washington, adding items that are equally objectionable to the other party just to pass the legislation is not bipartisan. It is simply a compromise. One where objectionable provisions by one party are balanced with equally objectionable provisions for the other party. Is there any way this can result in good legislation for the general public? Or is a truly bipartisan bill, one where both parties agree on the overall bill, better? Almost everyone would say the latter. There are some, however, that would say that this is the only way to get things done. But is legislation that has equal amounts of bad provisions, depending on one’s point of view, really getting things done? Or is this an indication that what you are attempting to do is not really necessary? I can recall a time when bipartisanship meant legislation that 70% or 80% or more agreed with the bill without compromise. I can recall a time when compromise meant one side wanting to spend $1 billion on a project and the other side thought $500 million was enough, and the final bill called for $750 million, and had broad support. 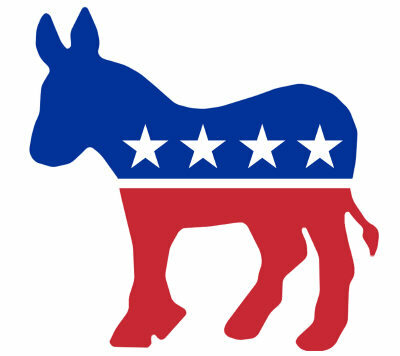 Now, in order pass legislation, the progressives that now control the Democratic Party push through really bad socialist legislation, and instead of compromise, begin the process of spending more money to buy the votes of enough legislators to pass the bill, only a small portion of which they really cared about. The excess wasted money is written off as a cost of doing business. The result is an exploding deficit, which is closed by more borrowing, adding to the already crushing National Debt, as we have seen. This is how a small percentage of progressives were able to commandeer the entire Democratic Party. Not by shared goals and ideals. The progressives are still a minority within the Democratic Party. As we have seen, much of the legislation that the progressives planned to pass with the overwhelming majorities in both houses was drastically altered: abortion, Public Option insurance, etc. Or, as is the case with Cap and Trade, placed on hold. divide and conquer scam that has secured minority rule for the progressives. This country has always worked best with a two party system. We now have a third party that has become dominant over the Democrats, many of whom have acquiesced to the dominance of the minority progressives. The progressives will be purged, or at least marginalized, by the voters. You would have to be a complete idiot not to see this coming. The purge will come by targeting all Democrats for defeat. Some Democrats are now trying to move away from the progressives and vote against this socialist agenda. Good. But as long as Pelosi and Reid remain the leaders of your party, you are all facing a severe voter backlash. It is simply a matter of time. I urge the true Democrats to begin the purge now. Don’t wait until November for the voters to do it. Take your party back! It is the only way to mitigate the damage your party is sure to experience. Put Pelosi and Reid on the back bench and move your party back to a platform of freedom and liberty and away from the Socialist element. End the minority rule in the Democratic Party.